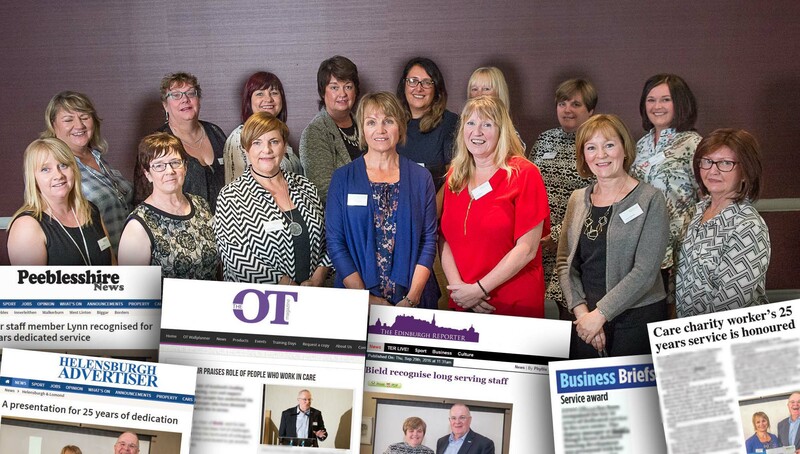 Staff at Scotland’s Leading Care Provider Celebrate Career Longevity with a Sprinkle of PR Success. As the proud PRs of Bield, one of the largest care and housing providers in the country, we often get hung up on the people who call Bield home with their incredible feats and lust for life. Every year though, we take stock and celebrate the people who have made these amazing stories possible and help tenants at their developments stay ‘Free to Be’. The Bield AGM sees long service awards presented to those who’ve dedicated their lives to helping others. We knew it was important that these amazing people get the recognition they deserve so we drafted a releases for every one and issued to local, national and care press. Coverage in a number of local titles including the Peeblesshire News, Helensburgh Advertiser and the Carluke Gazette. Generating coverage not only for Bield but their staff is what we do best and are delighted to have played a part in their success. Care staff recognised for their outstanding contribution to care and housing. Read the press release that kicked off this glut of coverage. Bield have enjoyed increased PR Success thanks to our Edinburgh based team.